The British had contributed 468,000 in the battle for Gallipoli with 33.512 killed. 7,636 missing and 78,000 wounded. The Anzacs lost 8,000 men in Gallipoli and a further 18,000 were wounded. The Anzacs went on to serve with distinction in Palestine and on the western front in France. Australia had a population of five million - 330,000 served in the war, 59,000 were killed. 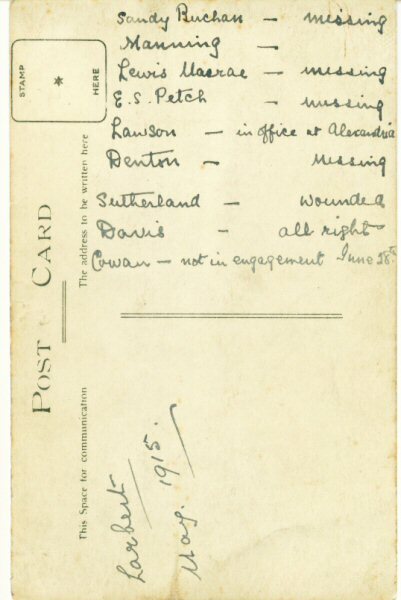 New Zealand with a population of one million lost 18,000 men out of 110,000 and had 55000 wounded. These New Zealand figures (62%) represent the highest percentage of all units from the Anglo-Saxon world. Can you hear them as they march into eternity? The following song by Scottish born folk singer songwriter Eric Bogle in the 1970s, is very poignant. A "Matilda" was the name given to the pack of an Australian Bushman or Swagman and to "Waltz Matilda" was to carry your pack around the bush..
Now when I was a young man I carried me pack And I lived the free life of the rover. From the Murry's green basin to the dusty outback, Well, I waltzed my Matilda all over. Then in 1915 my country said, "Son, It's time you stop rambling, there's work to be done." So they gave me a tin hat and they gave me a gun And they marched me away to the war. And of how in that hell that they called Suvla Bay We were butchered like lambs at the slaughter. And in five minutes flat, he'd blown us all to hell, Nearly blew us back home to Australia. We buried ours, the Turks buried theirs, Then we started all over again. And those that were left, well we tried to survive In that mad world of blood, death and fire. And for ten weary weeks I kept myself alive Though around me the corpses piled higher. & saw what it had done, well I wished I was dead. Never knew there were worse things than dying. To hump tent and pegs, a man needs both legs, No more waltzing Matilda for me. So they gathered the crippled, the wounded, & maimed, & they shipped us back home to Australia. The legless, the armless, the blind and insane, Those proud wounded heroes of Suvla. And I thank Christ there was no body waiting for me To grieve, to mourn and to pity. But nobody cheered, they just stood and stared, Then they turned all their faces away. So now every April I sit on me porch And I watch the parade pass before me. And the young people ask "What are they marching for?" And I ask myself the same question. But as year follows year, more old men disappear Someday, no one will march there at all. Waltzing Matilda, Waltzing Matilda. Who'll come a-Waltzing Matilda with me? 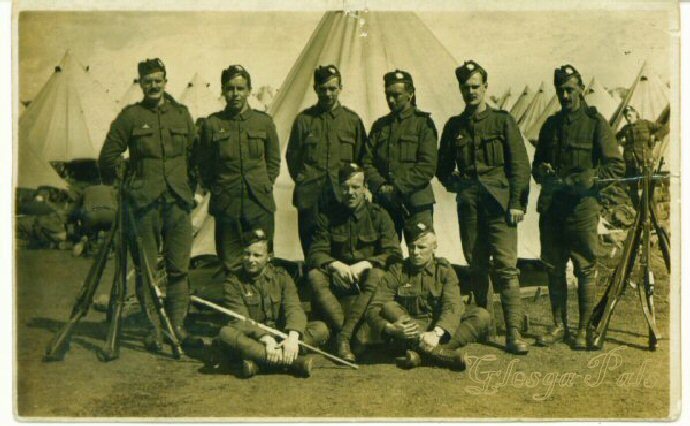 Those pictured are identified on the reverse, along with details of their involvement in action in the Dardanelles, 28th June 1915 (probably Gully Ravine). 4 are listed as missing, Sandy Buchan, Lewis Macrae, E S Petch, and Denton. 1215 Ernest Scott Petch, 4th Bn Royal Scots, killed in action 28th June 1915. 723 Edward M Denton, 4th Bn Royal Scots (Queen's Edinburgh Rifles), killed in action 28th June 1915. 1993 Alexander Russell Buchan, 4th Bn Royal Scots, killed in action 28th June 1915. ANZAC Day is revered by ALL Australians, young and old. I have taken my Aussie grandchildren to the march in Adelaide, they're not sure what it's all about, but I have tried my best to instil in them the sacrifice made by so many young men and women for their freedom. Keep in mind that the Australians were all volunteers, out of a population of 5 million they fielded an army of 330,000 of which 59,000 were killed. Every year Australians commemorate ANZAC Day. It is Australia's sacred day..The day has the same significance in New Zealand, Australia's counterpart in the Australian and New Zealand Army Corps [the ANZACs] at Gallipoli. 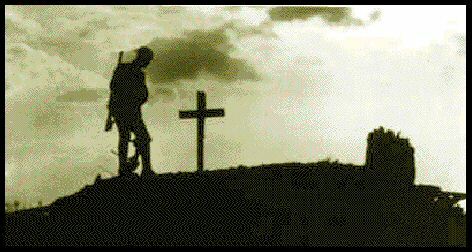 ANZAC Day, the One Day of the Year when the horrors of war and the friendships and courage in battle are crystalised into painful remembrance, is also the day when the yearning is deepest for an end to wars in any part of the world. Brenda every year in the small Wiltshire village of Codford St.Mary's they remember Anzac Day and lay wreaths and flowers in the small cemetery in the village. A friend of mine who lives in the village is responsible for organising it and plays Eric Bogle's song which I sent to her several years ago on a ghetto blaster during the service.. I have visited the village which sits on the edge of Salisbury Plain and was used as a military base and training ground for British Troops before they embarked for France during the Great War. The Anzacs had a Military Hospital there hence why there are so many Anzacs buried there. As you leave the village and look up towards the hill on the left hand side you can see an Anzac hat and cap badge cut into the hill...it was made by the Anzacs during their stay there and is made up of thousands of empty beer bottles imbedded into the ground...what else did one expect from our Aussie soldiers...and it glistens in the sun on a bright day. My daughter brought me back three beautiful books about the Anzac Forces when she was home from Sydney two Christmas's ago. I will spare a wee thought for the 'Diggers' on the 25th. LEST WE FORGET.. I am sitting here watching the marches throughout Australia on the tv and listening to the old diggers and the young ones. The programme crossed over to the troops in Iraq sending messages to their loved ones here in Australia. Normally we go to the march in Adelaide to see my Dad march in the British forces section under the RAF banner, as he served in Palestine and Cairo in the RAF. We're not going today Dad, your passing late last year is all too raw with us, but we remember you and all your mates and the sacrifices you all made. Lest we Forget. I marched for many years in the Sydney ANZAC parade as a member of the Blacktown Salvation Army band, after playing at the dawn service in the grounds of the local RSL club. It is a very moving experience remembering all those young lives cut down in their prime and of their families and friends left to grieve for what might have been. Some cities have a Turkish sub-branch of the Returned Services League and these Turkish sons and grandsons of the original Turkish soldiers at Gallipoli now march in procession with their Australian counterparts, which reminds us again, as Eric Bogle so poignantly expresses it, of the utter futility and obscenity of war. World War 1 reminds me in some ways of the disaster the Scots nation suffered at Flodden Field when a generation of young men was so cruelly cut down in a few hours. Many Anzac services retain a link with that tragedy of long ago, when the piper plays the lament "the flowers of the forest are a wede awa"
Truly, they died that we may live in freedom. At the going down of the sun and in the morning, we will remember them. Lest we forget.